The company offers a complete range of products consisting of four main lines. 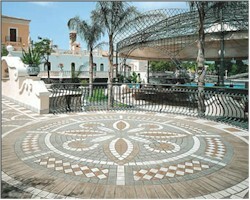 Single-fired, double-fired and mosaic tiles are marketed under the Atlas Concorde trademark. Atlas Concorde markets its porcelain stoneware under the renowned Stargres name.